Once the edges have been partitioned the key challenge to efficient graph-parallel computation is efficiently joining vertex attributes with the edges. 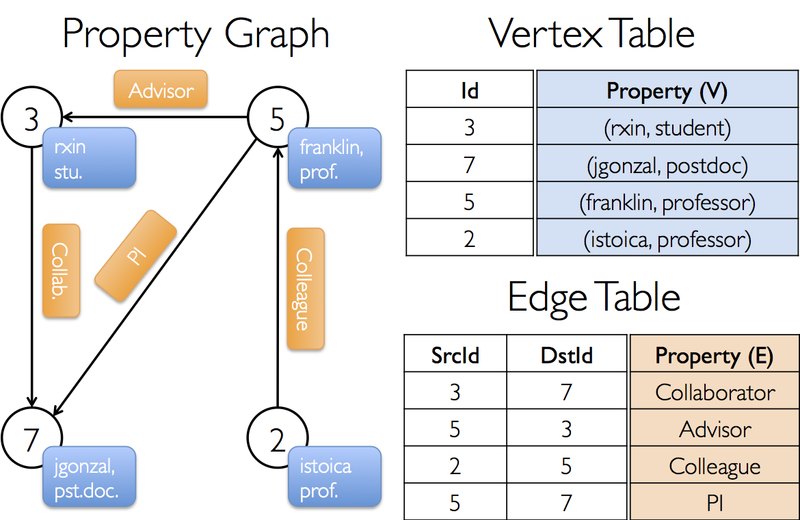 Because real-world graphs typically have more edges than vertices, we move vertex attributes to the edges. 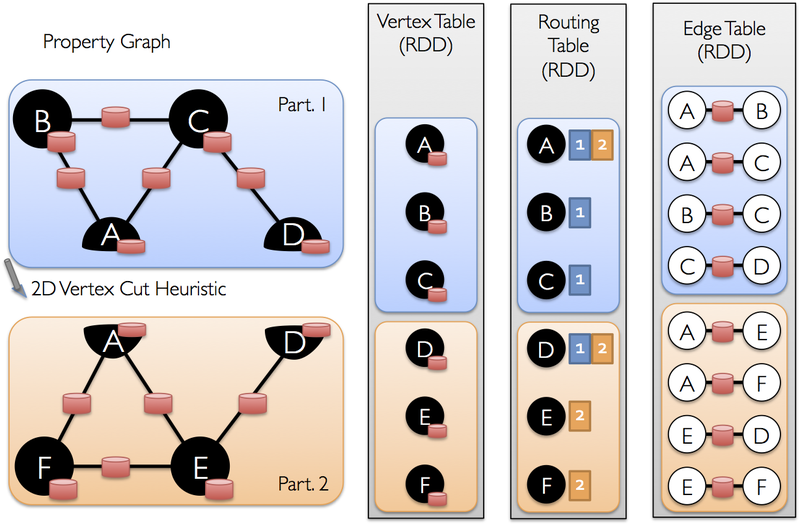 Because not all partitions will contain edges adjacent to all vertices we internally maintain a routing table which identifies where to broadcast vertices when implementing the join required for operations like triplets and aggregateMessages.